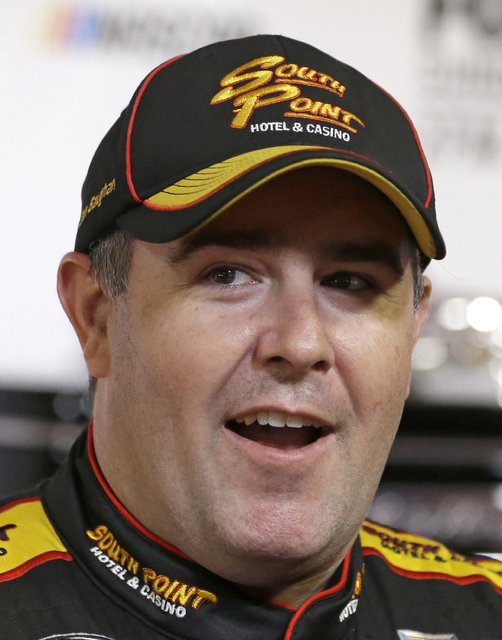 Brendan Gaughan will slide into the snug cockpit of his brawny midnight-black Chevrolet stock car Sunday and occupy a seat his team owner, Mark Beard, has coveted since childhood. DAYTONA BEACH, Fla. — Brendan Gaughan will slide into the snug cockpit of his brawny midnight-black Chevrolet stock car Sunday and occupy a seat his team owner has coveted since childhood. And not one RPM too soon, either, for Mark Beard, 68. 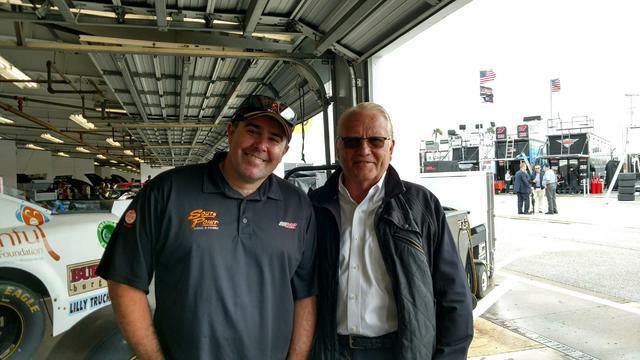 The Michigan car owner finally made it to the big time this week, the Daytona 500, with Gaughan at the wheel. Las Vegas’ 41-year-old journeyman driver is ready to swap wits, and maybe metal, against NASCAR’s big boys in the 59th running of the storied speed chase along the 2.5-mile high-banked oval Daytona International Raceway. The long, difficult road for Beard spanning five decades culminates with a back-of-the-grid row 20 starting position for the No. 75 Chevy. With the Beard Motorsports family holding its collective breath Thursday night, the amiable journeyman racer steered out of potential harm’s way, finishing 19th out of 21 cars in one of the twin 150-mile qualifiers to preserve his initial qualification. The family business of Beard Oil was successful, but the namesake driver could not find the same satisfaction on the track racing against the likes of Dale Earnhardt, Darrell Waltrip and the Allison brothers in the 1980s and ’90s. “You know, this is one of those things in life that has taken the pressure off me,’’ Beard said. “I have wanted to do this for years. I wanted to be competitive; I didn’t want to struggle. At 12, I set a goal that I wanted to run at Daytona. I worked the rest of my life – 56 years – to finally get here. I didn’t get here as quickly as I would’ve liked, but Brendan’s filling my seat great. 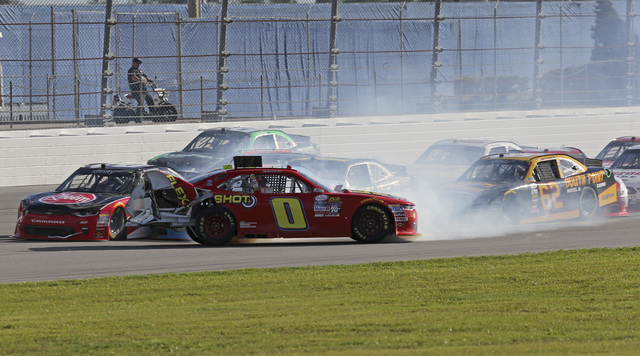 In December, Beard formed the low-budget, noncharter team, but driver, crew and car have melded quickly. Beard leased a bat-out-of-hell Earnhardt-Childress Racing motor to go with a Richard Childress Racing chassis. The 3,225-pound Chevy stock car came off the hauler ready to roar, needing no significant engine tinkering. With the grid finalized, owner and driver huddled up with one thought: What is our race-day strategy? “Brendan was nice about it,’’ Beard said. “He asked me, ‘How would you like to run the 500?’ I told him, ‘It’s totally up to you, Brendan. But I didn’t come here for a (leisurely) ride.’ I told him I had no problem if he competed (hard). I am prepared for the worst (starting in the last row). But if the car can run in the middle, or go to the front, that is where I want to be. One that has brewed for decades. Beard’s father owned a Lincoln-Mercury dealership in Mount Pleasant, Michigan. By age 8, his son was racing go-karts. At 12, the son went with his dad on a business trip to Daytona Beach. His boy did not attend the race, but it did not matter. The little fellow was bitten and smitten by the racing bug when he heard his first Daytona 500 radio broadcast. 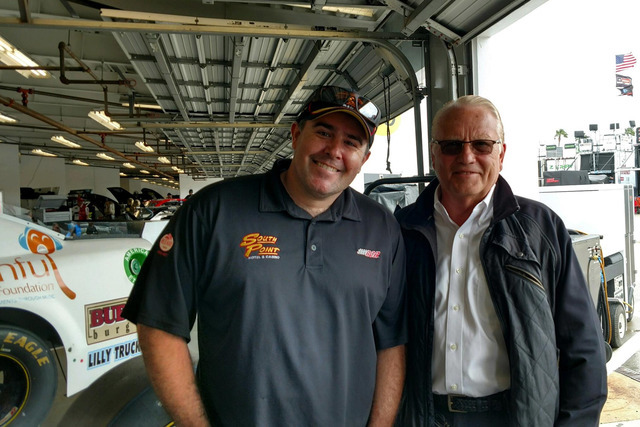 When Beard was 16, his father set up a one-on-one meeting for his son with the chief of Ford Motor Company’s racing division. But before the boy could go drag racing, dad sold the dealership. No sponsorship, no racing. By the mid-70s, Beard was driving short-track races in the Automobile Racing Club of America series that serves as a stock-car racing proving ground at superspeedways, road courses and dirt tracks. 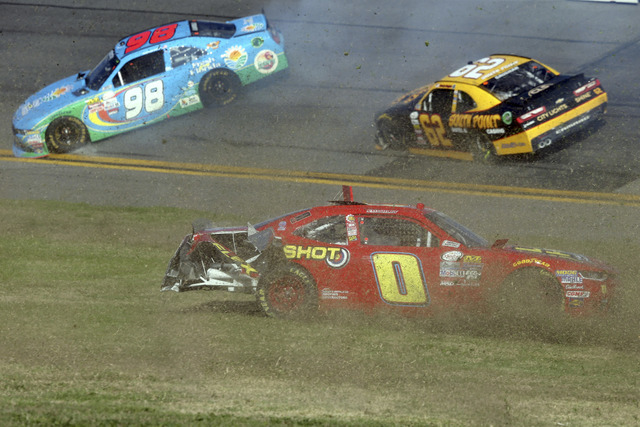 It was a tried-and-true method of gaining experience to compete at tracks such as Daytona, which remained Beard’s goal. He got a break when a Michigan-based race shop built him a Camaro to compete at a United States Auto Club race at Michigan International Raceway. USAC banned the car. And there was. Thirty-five years ago this month, Beard finally witnessed the green flag drop at Daytona while sitting in a racecar. Starting 26th and driving a Beard Oil Pontiac Ventura, Beard finished 18th in a Late Model Sportsman series 300-miler. Earnhardt won the race. Beard later competed in the Busch Grand National Series but, without sponsorship, he was doomed. He pulled down the curtain on his one-man show. His last race was in 1995 at Michigan. He was 47. “I had gone as far as I could go,’’ he said. If Gaughan can drive swiftly, deftly negotiate traffic and maneuver the No. 75 from potential track mayhem, who knows how far they can go Sunday? Contact Jon Mark Saraceno at jsaraceno@reviewjournal.com. Follow @jonnysaraceno on Twitter.